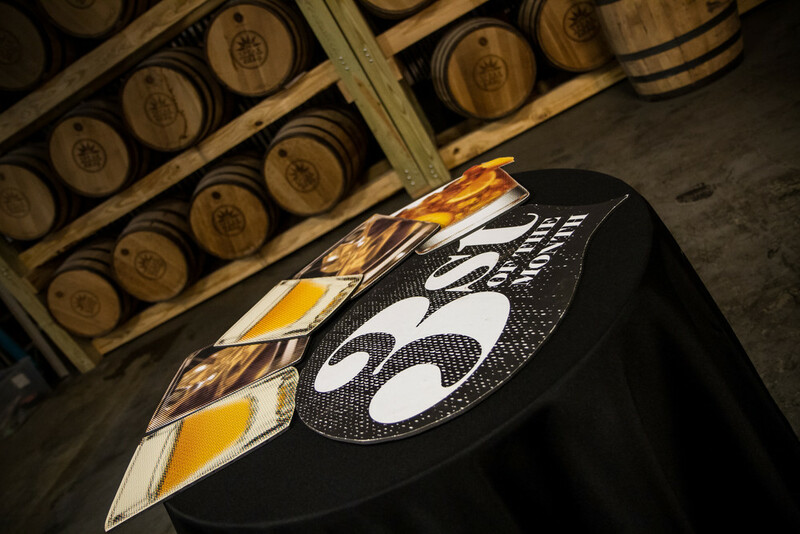 The heavy rain in Nashville did not wash away our drive to DRINK LOCAL for our March 3st of the Month. Hundreds of our members and guests braved the storm to trek out to SPEAKeasy Spirits Distillery in West Nashville. 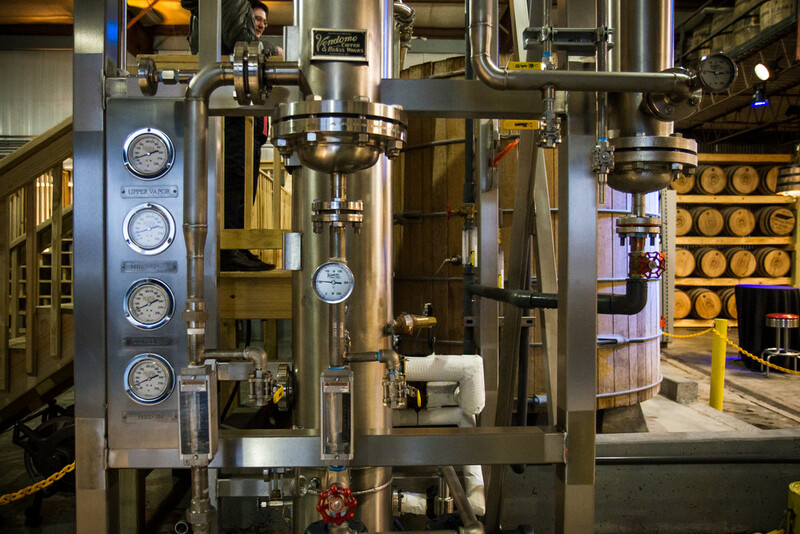 Having never been open to the public for tours, the crowd was eager to see what was in store at this local distillery. Once stepping inside, they quickly realized that the night was more than just about drinking local. We had great local grub from Porter Road Butcher and a specially-curated playlist of all local artists to keep the party bumpin' through the night. 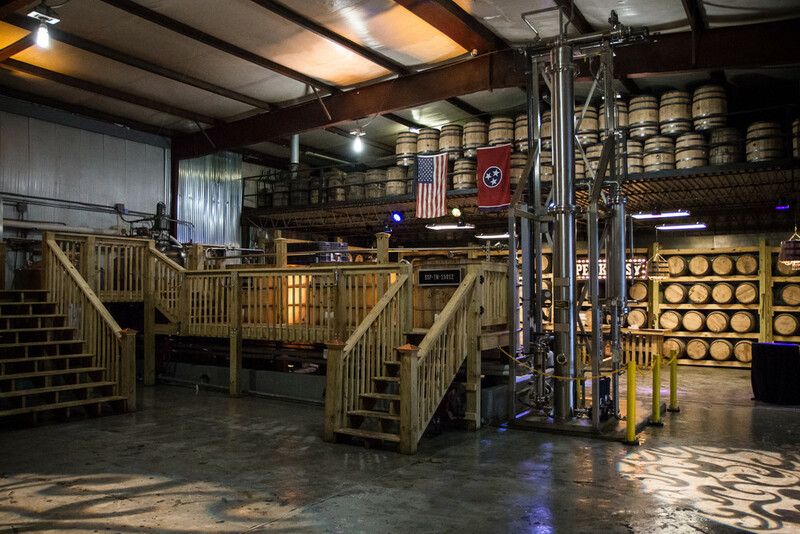 The distillery was transformed thanks to the work from Nashville Audio Visual, who hung whiskey barrel chandeliers and projected patterns of light onto the ceiling and floor. The walls were lined with tables of great local booze and beer (see the full list below), and the crowd was not shy about trying as many offerings their liver could handle. And everyone could drink in good conscience knowing the proceeds from the ticket sales were being donated to the Tennessee Distillers Guild. Folks even had a chance to try things that have never even been tasted by the public. SPEAKeasy rolled out the red carpet by sampling two of their freshly-distilled unaged white whiskeys (in the form of jell-o shots, no less) and three flavors of the soon-to-be-released (TOP SECRET) vodka - plain vodka, blood orange and blueberry, both flavored with real fruit juice. Yazoo brought their brand new Spring Bock for folks to try. Beechtree Distillery brought all kinds of goodies from his newly-opened distillery. 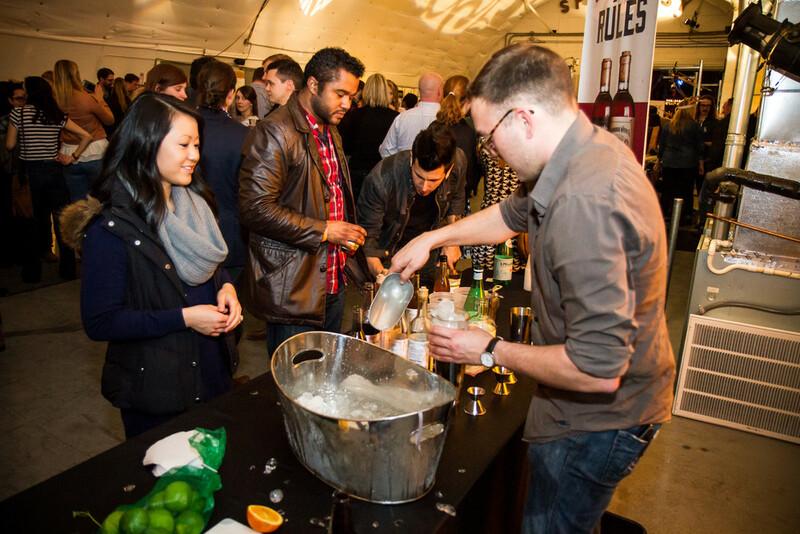 And everyone brought their a-game with crazy good cocktails! Check out the video recap from "Drink Local"
Want to support the folks that came?